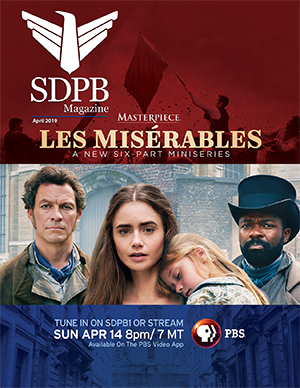 Since 2004, SDPB has been following the collaborative effort between the SD Symphony and the Porcupine Singers. The story has been an interesting one to document, beginning with Maestro Delta David Gier putting out the word he wanted to work with Native musicians. We watched as this notion grew into residencies on the reservations, education lessons for both the Chamber musicians and Porcupine singers, and even a jam session like no other in Pine Ridge. All of their effort culminated into two brand-new musical compositions and a state-wide tour. Our program, The Lakota Music Project, shows clips from the collaborative effort between the musicians and the performance of their music at the Multi-Cultural center in Sioux Falls. It is certainly a music program like no other we have ever done. 07/26/2009 - The first half of the joint concert.